Natali Products brings you the Phyto Sintesi AHA Facial Peeling Gel that is suitable for most skin types (except sensitive skin). This face gel contains Alpha Hydroxy Acids (AHA) and soothing plant extracts, such as Aloe Vera, Mallow, and Bisabolol. 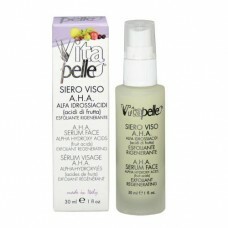 Advise your clients to use this face gel twice daily, during the morning and evening. Remind them to use a sunscreen during the treatment. Make the AHA Face Gel an integral part of your client’s daily skincare routine. Buy the Phyto Sintesi AHA Facial Peeling Gel from Natali Products today for a deep-cleansing and revitalizing skin treatment! 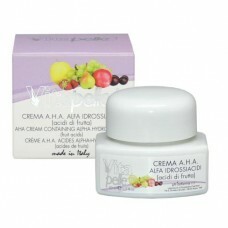 Don’t forget to also check out other professional skincare products from the AHA line. Depend on us to deliver premium quality beauty and esthetics supplies worldwide. If you’re around the Toronto area, visit us at our showroom. We’d love to meet you! Note: Use the product up to one month. It is recommended to use a sunscreen during the treatment and avoid sunbathing. Some clients might experience a mild irritation that quickly disappears. If symptoms persist, cease use.